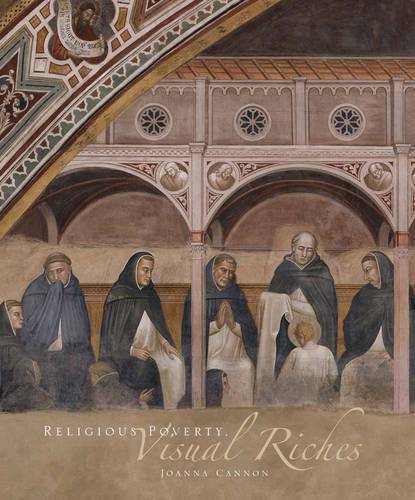 The Dominican friars of late-medieval Italy were committed to a life of poverty, yet their churches contained many visual riches, as this groundbreaking study reveals. Works by supreme practitioners-Cimabue, Duccio, Giotto, and Simone Martini-are examined here in a wider Dominican context. The contents of major foundations-Siena, Pisa, Perugia, and Santa Maria Novella in Florence-are studied alongside less well-known centers. For the first time, these frescoes and panel paintings are brought together with illuminated choir books, carved crucifixes, goldsmith's work, tombs, and stained glass. At the heart of the book is the Dominicans' evolving relationship with the laity, expressed at first by the partitioning of their churches, and subsequently by the sharing of space, and the production and use of art. Joanna Cannon's magisterial study is informed by extensive new research, using chronicles, legislation, liturgy, sermons, and other sources to explore the place of art in the lives of the friars and the urban laity of Central Italy.